Getting this house in order. 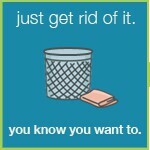 Over the weekend I reached my threshold for putting up with clutter. Clutter comes in all forms for me. Its not just the stuff that we have in our home that we no longer need but can’t be bothered passing on, its so much more than that. Clutter is everything in our lives that is a bit out of control. It might be the paperwork – TAX, filing paid bills, not having a place for unpaid bills, the bedrooms are untidy and the living areas feel a bit out of control. There are too many toys, papers, books, dvd’s and videos, and games – just to name a few irritants. What about the idea of being overweight and generally feeling unhealthy – does that come under the category of clutter? To use a popular Oprah question – Am I living my best life? Right now as I sit here writing my blog I am asking myself this question. My answer to that question is NO! Don’t get me wrong, I love hubby and the kids – that’s not the question here. The question is whether or not I am living my best life? There are a number of things I want to achieve in my life that are completely separate to Dion and the kids. Yes, if I am able to achieve these things, and these things are successful – my family will be affected by my success. Actually if I fail – they will be affected too – but not in the same way. I have realised the importance of growing ones own identity, cultivating one’s own interests within family life. I think one becomes less resentful when one has the time to cultivate one’s own interests. One needs to feel happy and free to be who they are in the limitations of their own chaos and family life – even though they may be one in the same at times. I know that this is a deep blog post, but I have been thinking a lot about the importance of having my own identity outside the four walls of family life. I know for me that as much joy I have with my family, there is also a huge work load, and most days I don’t find that ‘me time’. Its embarrassing as we live in such a beautiful place, but we take it for granted. I take it for granted. Decluttering is something that needs to be done when the kids are at school. Specifically when I – the mum – is sorting out toys. Whenever I have tried to sort and pass on different toys when the kids are home, it just brings chaos – if the kids cotton on to what I am trying to do, they decide that the toys, that I am trying to pass on, become their favourite toys again. This can be frustrating. The other question I was posed with over the weekend – I was reading a magazine that my mum had passed onto me months ago – ironically we are talking about clutter! I was flipping through it so that that I could get rid of it. Anyway, the question the magazine article asked was ‘When was the last time you looked at your life and asked yourself seriously if you were happy and/or when was the last time in my life that you looked back on your life and say that you were truly happy’? I have to say that this was a scary question. I was brought up believing that getting the jobs done needed to be done first – bit like the Mars Bar ad – work now, play later. The idea holds many merits as I do understand why one should get their jobs done first before one plays, but when you have children and a household, it can feel like there is never time to play as there are always jobs that can or should be done. I believe in this method of going through life, but recently I was questioning myself as to when it was that I had fun last. So I have decided that its time to make room for fun, adventure and time for myself despite the workload at home. Lets face it – if I don’t get the washing basket full of clothes folded its not the end of the world – yes annoying, but if it means I can have fun with the kids before homework time, I am going to do it. It may mean that instead of one basket tomorrow I will have two baskets to fold….and does that really matter when it comes to the big picture. The other aspect to life and trying to get on top of the house hold jobs is that every person in our home is responsible for some of the mess, or they are responsible for something needing to be done. So….guess what Keetley’s! Your lives are about to be turned upside down and turned inside out. If I’m not allowed to have fun, then neither are you…so the way I figure it – if you want a mum who is happy and feeling ontop of the workload…then you all are going to help out. There is always a dishwasher to be packed or unpacked, there are always clothes that need to be washed, put out, brought in, folded and put away, the bathrooms need to be slip slopped and slapped, and the floors well, just help me by keeping your toys in a neat fashion and if you play with them – pack them away so that vacuuming can be done with out having to pack up your toys. Its time that everyone pulls their weight and does it with a happy heart. Actually speaking of weight….we are making time each morning at 6am to go walking on the beach! Surprise Keetley’s!